Safety Climate: You can watch Things Happen, Make Things Happen, or Wonder What the Heck Happened? When it comes to the safety climate of a work place there are many things to consider such as communication, the safety practices and plans in place, hazard awareness, etc. However, there is one area that seems to be a bit understated in safety: Proactive Leadership. Just as the title states, there are basically three types of people. There are the people who just sit back and watch things happen. These are the type of people who are “reactive” and usually wait until an accident does happen then spring into action to try to clean up the mess or situation. Then there are people who make things happen. Unlike “reactive” people, these people are “proactive” and strive to make changes to safety policies, practices, and guidelines before accidents are even able to occur. Lastly, there are the people who just wonder “what the heck happened?” These types of people are simply unsafe to have around hazardous work environments. People who operate in this mentality tend to be somewhat disconnected from safety practices as a whole and just scratch their heads when an accident actually does happen. A stable and fully functioning safety climate does not just occur, instead it is built. However, don’t expect a top notch safety climate to be built overnight. Just like with most things that are done correctly, there is quite a bit of time and commitment involved. Nevertheless, there is one thing that will stop a business right in its tracks when it comes to building a safety climate – negativity. Negativity does not create positivity, nor will it work as a motivator to employees and staff that safety needs to be a priority. Effective leaders lead by example and with positive reinforcement. Here are a couple examples of how negative situations regarding safety can be handled more positively. Blaming the Employees: When an accident does occur, one of the first things to happen is to place blame. Supervisors often think “someone must be responsible for this.” However, instead of it just being one person’s fault, it is instead usually a fault in a safety practice. Maybe there was a gap in employee training, or maybe a safety guideline was not communicated. 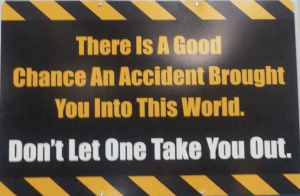 Whatever the contributing factor may be, it is best to follow an accident with positivity instead of the usual blame game. Just like the old saying “you catch more flies with honey than vinegar,” this works the same with people. To truly make an invested change and get others to do so as well, it is best to use positive reinforcement and team effort, instead of blame. Waiting for an Accident to Happen until Something Changes: Some employees may honestly believe that this is happening, and sadly it may be true of some workplaces. I have actually heard co-workers in the past consider this possibility. It seems as though many employees “know” about a specific safety hazard, but assume that it won’t be addressed until someone actually gets injured. This type of practice is bad, bad, bad! 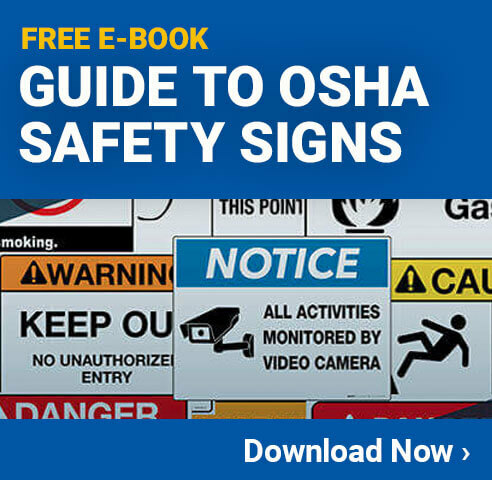 Instead of employees being too intimidated or complacent to accurately identify safety hazards to their supervisors, they should be empowered to do so. Employees should be praised for the identification of an unnoted safety hazard. Not only is this employee showing compassion for the safety of other employees, but he or she is also acting as an extra set of eyes and ears for other possible safety hazards as well. I could honestly go on and on, however, for the sake of time and the length of this post I will wrap this up. The main message I am trying to convey is that that a positive safety climate is key to any well-functioning safety plan. When supervisors and employees work as a team and play active roles in safety, the workplace becomes a more productive and much safer environment for all.